Ant McPartlin’s ex-wife Lisa Armstrong has been moved from Britain’s Got Talent to the spin-off show in order to avoid any “awkward encounters”. Following the confirmation of their split, it has now been reported that make-up artist Lisa will no longer work as a beauty assistant on the main BGT show, but instead with Stephen Mulhern on ITV2’s Britain’s Got More Talent. A source told The Sun: “Lisa has worked on BGT for years and is keen to continue as normal. She has friends there and enjoys being part of the show. The insider revealed ITV bosses are hoping to keep things “civilised” between the pair. This week it was confirmed after months of speculation that Ant and Lisa had decided to separate “to do the right thing for [Ant’s] health”. The couple are to divorce after 11 years of marriage. Ant’s spokesman said in a statement: “In response to the recent speculation in the media, Ant is very sad to announce that, after 11 years, he is ending his marriage to Lisa McPartlin. “Ant asks for privacy at this difficult time, for both himself, Lisa and their immediate families. The Britain’s Got Talent final has been rescheduled for Saturday to avoid clashing with Ariana Grande’s ‘One Love Manchester’ benefit concert. The final was originally scheduled to air on Sunday, but will now take place on Saturday, June 3 at 7.30pm on ITV. An ITV spokesperson said: “Ariana Grande’s ‘One Love Manchester’ benefit concert is bringing artists and the public together, and will raise funds for the Red Cross’s Manchester Emergency Fund. The British Soap Awards will now air on Tuesday, June 6 at 8pm instead of Saturday, to make room for Britain’s Got Talent. Pop singer Ariana Grande announced a charity concert to raise money for the victims of the horrific Manchester attack earlier this week. The concert will feature the likes of Justin Bieber, Coldplay, Miley Cyrus, Katy Perry, Pharrell Williams, Take That, Niall Horan and Usher, all of whom have agreed to waive their fee in order to perform. ‘One Love Manchester’ will take place at Emirates Old Trafford cricket ground on Sunday, June 4 and will be broadcast by the BBC. Britain’s Got Talent star Tina Humprey has died at the age of 45 after a battle with cancer. The BGT contestant came fourth with her dancing dog Chandi after reaching the final live shows in 2012. The former music teacher died May 12 after a year of fighting metastasised malanoma, a very aggressive cancer. He continued: “I miss her so much and find it hard to believe that the shattered pieces of my heart will ever begin to heal, but I know they will because she lives on in me and always will. Tina and her border collie were favourites on the ITV programme and Tina had talked on the show about what it was like to perform alongside her beloved pup: “Chandi isn’t distracted by the lights or the audience when on stage because she knows I wouldn’t take her anywhere where anything bad could happen. Tina’s funeral was held at Shrewsbury Crematorium on Monday (May 23) and the service was attended by all her closest friends and family. Rather than flowers, Tina asked that anybody interested donate money to Hilbrae Kennels. 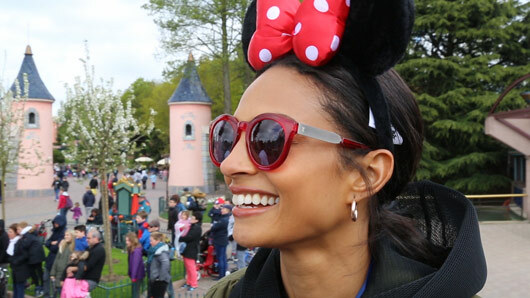 Alesha Dixon took some time away from Britain’s Got Talent this week to enjoy some magical 25th anniversary celebrations at Disneyland Paris… but it didn’t stop her from having a gossip about Simon Cowell! 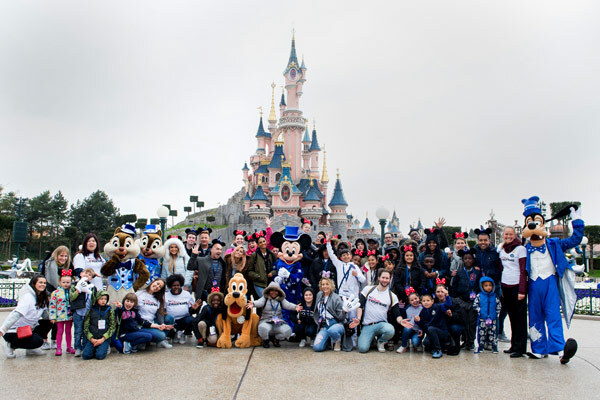 Famous faces Alesha Dixon, Stacey Solomon, Joe Swash, Louie Spence and Lydia Bright all flew to France with British Airways this week for a particulalry special trip to Disneyland Paris. The five celebrities joined forty children and adults from three London charities for the fun-filled day trip as they celebrated the park’s 25th anniversary. This is the fourth year that British Airways and Disneyland Paris have teamed up to organise an outing direct from the Docklands. This year, children from Body and Soul, Fight for Peace and Oasis Children’s Venture joined the excitement. Alesha also took some time to reflect on her day at the theme park: “It’s absolutely amazing being at Disneyland Paris – seeing everyone’s faces and everyone is so excited to be here and there is something really genuine about it. I can’t believe it has been 25 years – where has the time gone- they have gone from strength to strength and it feels good being here as it is such a special place. The former Strictly Come Dancing star shared her own inspirational advice for children on how they can achieve their goals. She said: “The most important thing is self belief. Never be afraid of hard work and when things don’t work out for any particular reason try and learn from it and become stronger as a result. The power of your attitude towards something will usually determine the outcome”. Britain’s Got Talent continues Saturday at 8pm on ITV. Three more years of ITV stalwarts The X Factor and Britain’s Got Talent are coming your way. ITV has announced a new three-year deal with both popular entertainment shows to continue broadcasting until 2019. 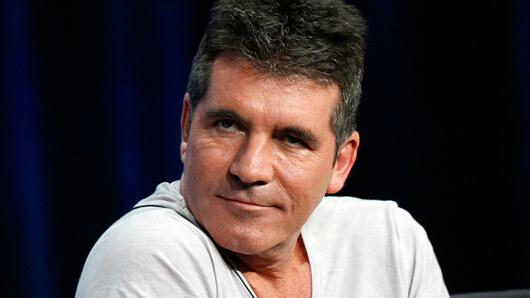 The X Factor is currently airing its 13th series, while Britain’s Got Talent completed its 10th series on ITV last May. The two entertainment shows are amongst ITV’s biggest hitters. 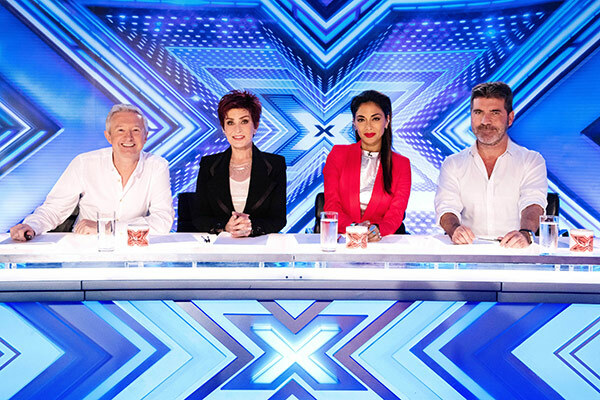 The current series of X Factor has so far drawn a consolidated audience of 10 million viewers – beating out every episode of last year’s run – while Britain’s Got Talent averages 9.9 million viewers in the consolidated ratings. The BGT final in spring scored 12.5 million viewers, making it the most watched programme on the channel this year outside of football. 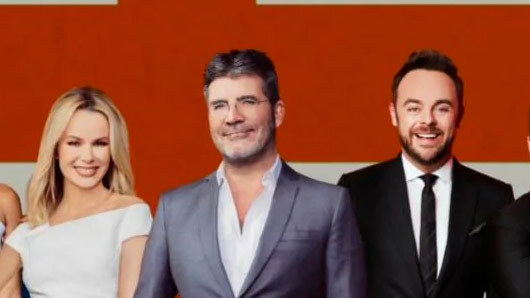 Kevin Lygo, ITV’s Director of Television, said: “Britain’s Got Talent and The X Factor are both big, brilliant, wonderful shows and I am delighted that they will continue to take up their place as an important part of our schedule for the next three years.